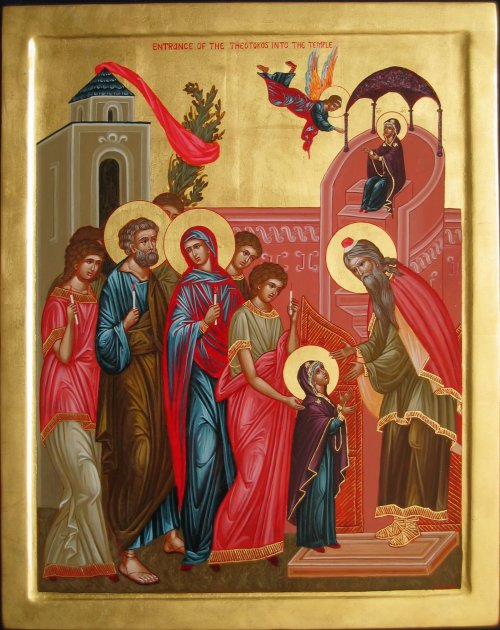 This Saturday we celebrate the feast day of the Entrance of the Theotokos into the Temple. 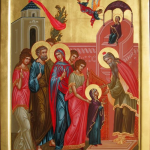 We will join our sister parish, St. Paul Orthodox Church (get directions) at 6:30pm for a Vesperal Liturgy on Friday evening starting at 6:30. Fr. Hans will not be serving the Vesperal Liturgy that evening. Fr. Gleb of St. Demetrios Orthodox Church in South Naples (get directions) is out of town and Fr. Hans will substitute for him. The Divine Liturgy starts at 10:00am. There is something very special about stepping out of your routine and going to Church during the week. It takes some effort, but the reward is great although usually experienced afterwards.